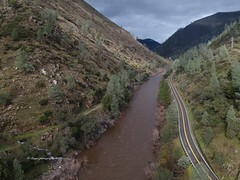 Photos used in Street Sheet article. Photos, I took, of an event for the local transgender community were used in San Francisco’s Street Sheet. The issue was February 17, 2015 No. 4 Vol 27. The photos were donated. Will have photos in this installation project. 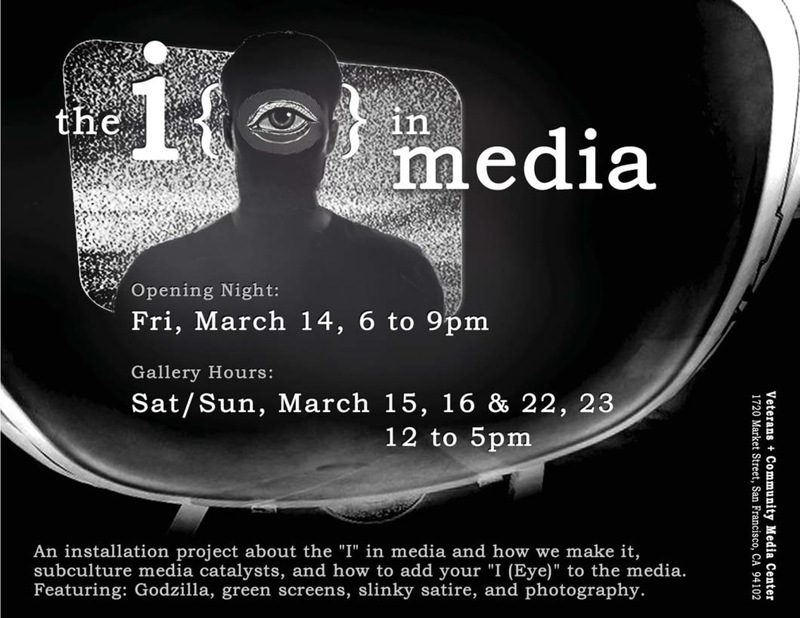 An installation project about the “I” in media and how we make it, subculture media catalysts, and how to add your “I (Eye)” to the media. World premiere of the Predicta PC steampunk TVs Episode 5 gets you into the TOHO-Scope newsrooms who report on Godzilla through the decades. SF’s favorite costumed roller skater is having his first gallery installation, and he’s ready to talk about his slinky satire and street theater life. “The media” is made by people, and we are the people who put ourselves in the media as much as we are the media. We are activists, makers, hacks, hackers, videographers, costume designers, internet video viralists, and culture-harvesters who post flyers. Media is all around us and our role is flippy-floppy all day long: sometimes we are absorbing and sometimes we are making. 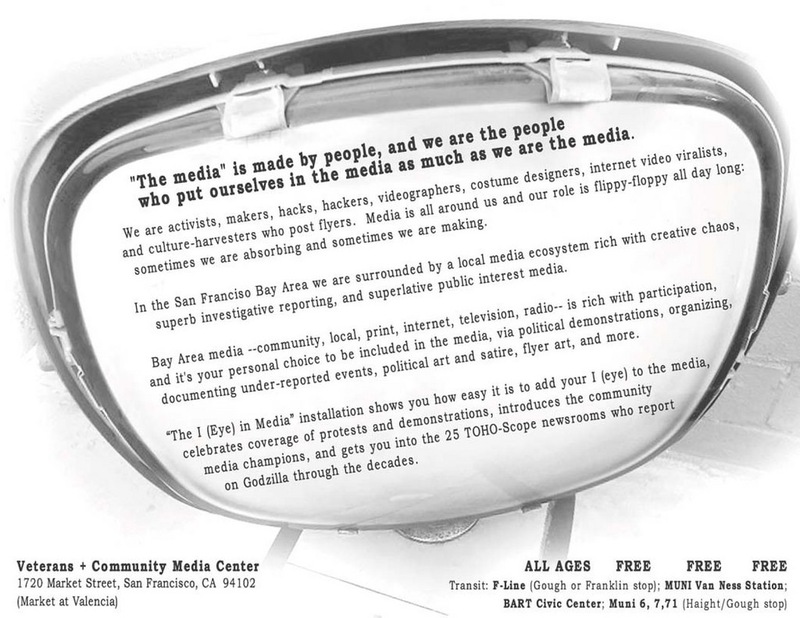 Our Bay Area media –community, local, print, internet, television, radio– is rich with participation, and it’s your personal choice to be included in the local media, via political art and satire, flyer art, neighborhood newspapers, public access television, political demonstrations, organizing, and documenting under-reported events, and more. • “Iraq Story” – The fall of Saddam’s statue, first person history, by Dylan Gunther. I did the videography for the video at the link. Videography for the East County Boys & girls club. 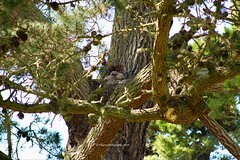 Dear San Franciscans: I am a wildlife photographer in San Francisco. And I am requesting that community members please report to me any sightings of Coyotes within City and County limits. I am a wildlife photographer in San Francisco, and have been documenting the presence of Coyotes in San Francisco, for the last 3 years. There have been many sightings from all over the City and I am starting a project that will in effect document, where the Coyotes are traveling, and where they are living. 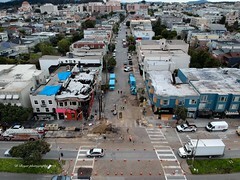 The goal is make the community more aware of their presence and to educate San Franciscans about co-existing with them. I am also wanting to get Coyote crossing signs installed in various locations throughout the City. When you report the sighting, please include, date, time, location and how many Coyotes were sighted. Annoying fact. 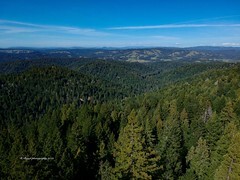 When I spot another person in the same forest I’m in, I know for a fact that the wildlife, will not present themselves to me. External vibes, from uncontrollable sources, effect the internal interaction between species in the field. In order for a photographer to achieve, the photographer and the subject should be alone. Documented memorial for a victim of Workers Comp system in California. Used Sony S270U, with directional shotgun mic on a boom pole. Beginning of a new career track. 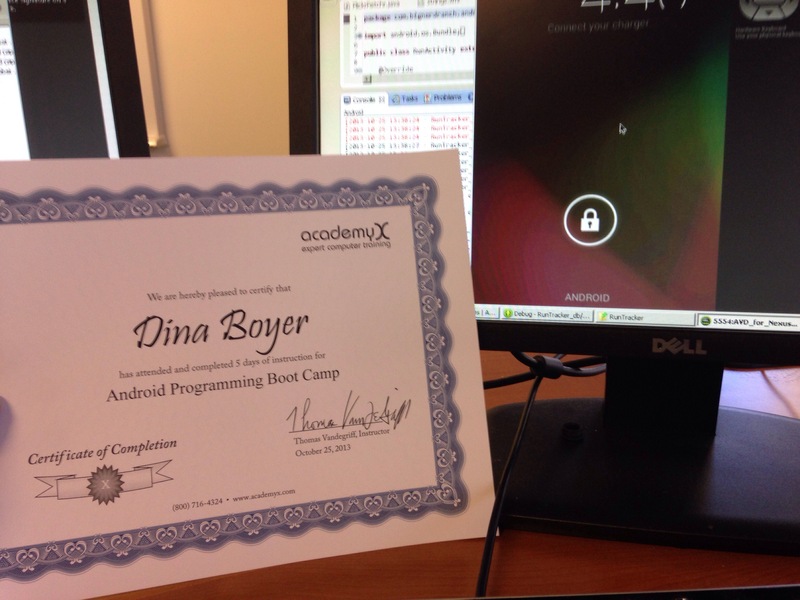 Attended Android Programming Boot Camp this week at Academy X.